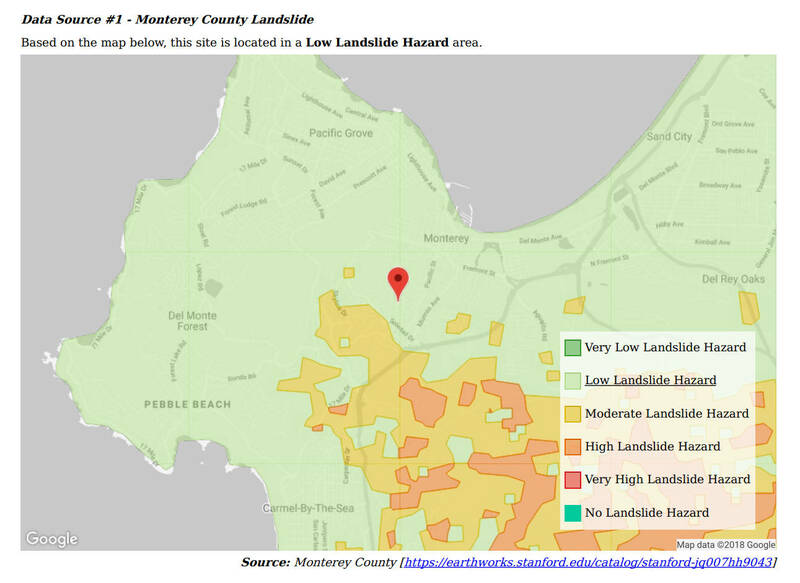 SP3 SiteHazards compiles data from hundreds of sources to provide mapping of hazards from ground shaking, liquefaction, landslide, and tsunami. It also includes Alquist Priolo Zones, prior event ShakeMaps, and soil type information. 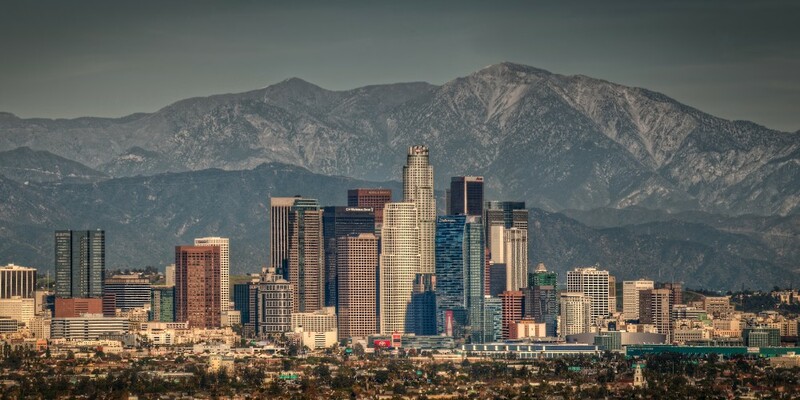 The data sets cover the majority of seismic regions across the United States. Create Due-Diligence Risk Assessment Reports in Minutes! Watch the video to see how quick and easy it is! 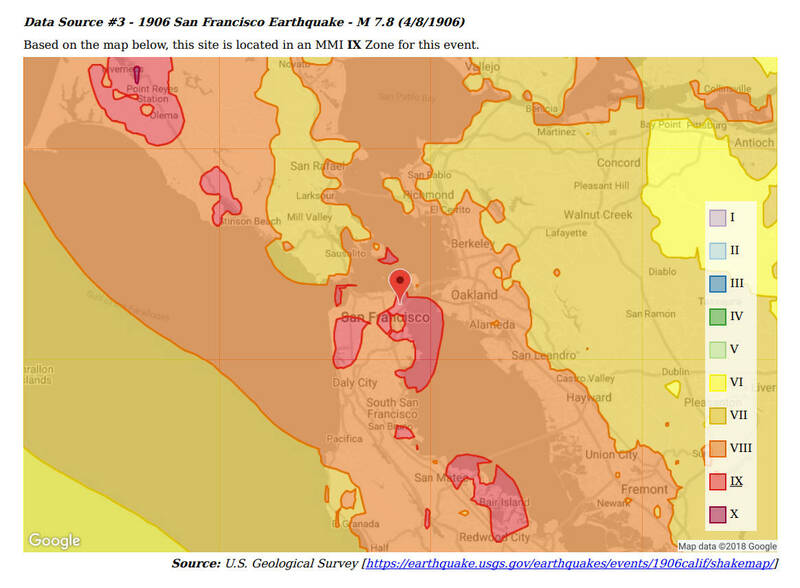 The following map shows the Modified Mercalli Intensity (MMI) for the 1906 San Francisco earthquake for the region around the specific site. The following map shows the earthquake induced landslide for the region around the specific site. 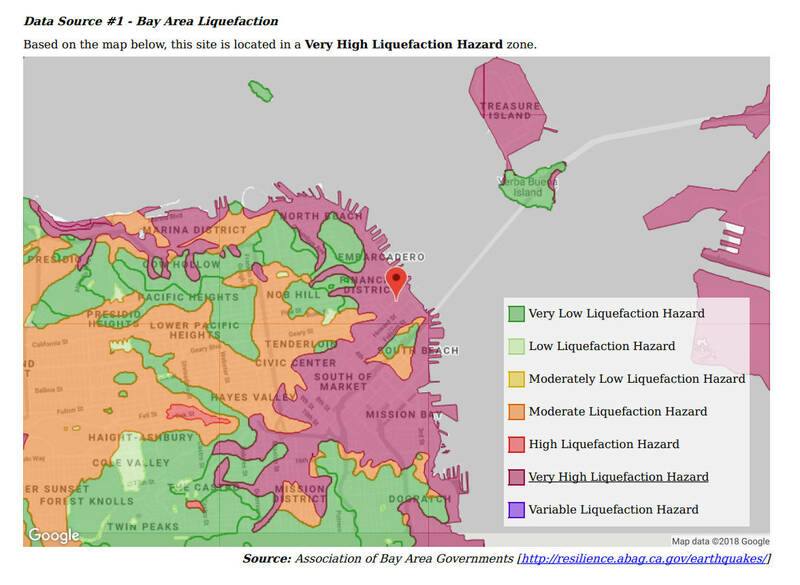 The following map shows the earthquake induced liquefaction for the region around the specific site. 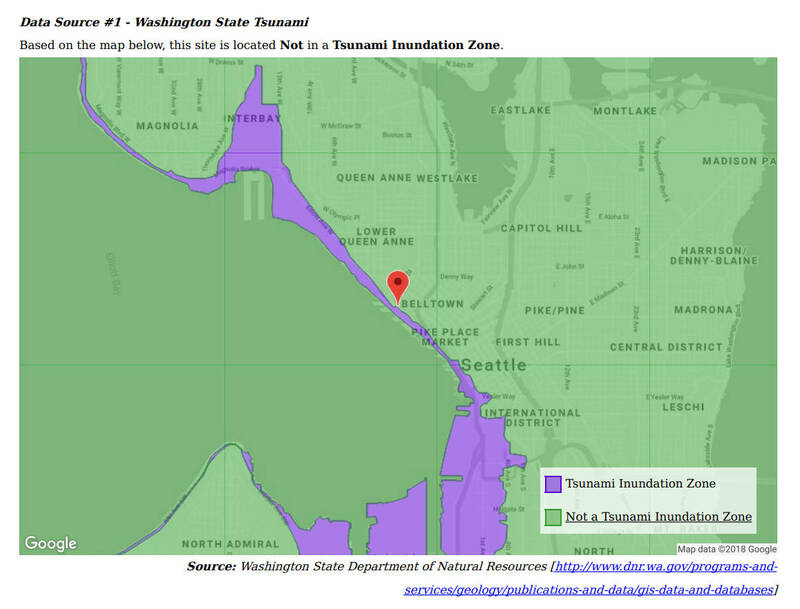 The following map shows the tsunami hazard for the region around the specific site.